Is the US Government of corporations, with the flag for which it stands, with proof now in black in white, now declared war on the individual, families, overpopulation, and small business, showing their hand with new laws further wrecking the economy and further repressing economically and morally beaten up US citizens? The EPA, the Environmental Protection Agency, is now in charge of all contracting, nationwide. As of April 22, 2010, if there is a possibility of an electrician, plumber, carpenter, mason, replacement window installer, or other trades person coming in contact with lead pain on a job, they must take a $600 class or face a $37,000 fine for working without the permit. Tipsters are offered a $5000 bounty to turn anyone in working without a permit. Is that an unfunded mandate? You now must keep 3 years of detailed records on every job you do, subject to review at any time by a federal official. I haven’t yet taken the time to research the law and read it myself. I talked last night with a carpenter who took the class, and an official on the subject the night before. At a time the IRS didn’t seem concerned about Bernie Madoff and Enron, waitresses and baby sitters were targets for their ill begotten booty. The big are making the rules to harm and put out of business, the small. 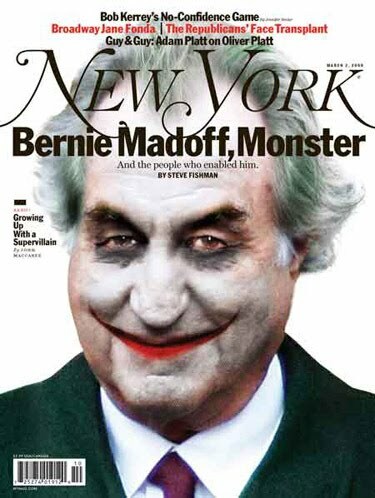 Bernie Madoff would have loved to have been the author of such new legislation. The EPA may have torpedoed a once booming cottage industry while not protecting the public from major oil spills such as the one that just occurred along the Gulf Coast below Mississippi, Louisiana, and Alabama, alongside Florida. [click here] for a compilation post with videos and stories of how corporations, banksters, and elected officials who represent them have ruined the US. SvenVonErick — January 11, 2010 — Secret Police memos obtained through the Freedom of Information Act, scroll as a pdf in video. Police aren't interested in members of the KKK, skinheads, hate groups, actual criminals, and others. They're after journalists and bloggers critical of government. The police are actively out to false arrest anyone on the list. With false arrests sometimes comes prison. So political prisoners are being held in the US. There is no mention of terrorists, mainly Steven G. Erickson, Ken Krayeske, Chris Kennedy, and those who are journalists, bloggers, or who just wrote letters critical of public corruption and police misconduct and brutality in the State of Connecticut. I just talked by phone with a victim who was swindled out of millions. He says Tom Petters probably bought one of his airplanes just with the millions, he stole from him. There are countless other victims, and complicit judges are the main culprits for this abuse being so blatant and widespread. US Congressman and US Senators, such as Patrich Leahy, have been informed of this problem. There are a number of us out to film and document these courageous efforts. 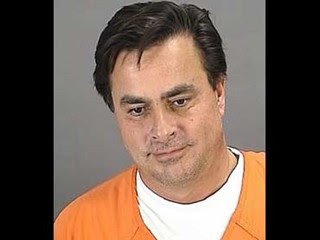 This picture of Tom Petters was found [here]. NEW YORK -(Dow Jones)- Alleged fraud at Petters Group Worldwide has already led to the ouster of the private company's chief executive, but it's also causing pain for several hedge funds around the world. Already, Swiss fund-of-hedge-funds manager Gottex Fund Management has cited exposure to Petters, Minnetonka, Minn., as one of the reasons it's closing its fund of funds that does asset-based direct lending to companies. The alleged fraud at Petters, which was founded by Tom Petters, goes back to the 1990s and involves Petters Co. Inc., a subsidiary of Petters Group. The Federal Bureau of Investigation has been investigating allegations that Petters' managers produced fake documents and showed them to their investors stating they were reselling goods at a profit. 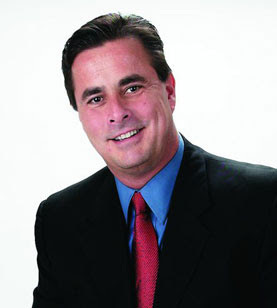 Petters Group's Tom Petters, who denies the charges, resigned as chief executive Monday. Hedge funds are involved in a few ways: Some may be investors in Petters, and others, like Gottex, have investments in hedge funds that lent money to the company through their asset-based lending funds. Petters, a holding company that owns brands such as Polaroid, Sun Country Airlines, Fingerhut and Mr. Coffee, was founded in 1988 and has about $2 billion in annual sales. Toronto-based Northwater Capital Management Inc., an $8 billion-plus asset manager with more than $4 billion in hedge fund of funds, also disclosed this week that some of its funds of funds are exposed to Petters. "If the allegations are true, NCMI believes that it will have a material negative impact on the net asset value of the trusts," Northwater said in a Monday statement. Two separate Northwater funds had 4.3% and 2.5% of their assets invested in Petters. A Northwater spokesman said the company wouldn't comment beyond the release. Northwater and Gottex, which make direct investments to several different individual hedge funds, would not name the funds that were exposed to Petters. However, some individual hedge funds have already taken Petters to court. One hedge fund, Minneapolis-based Interlachen Capital Group, sued Petters on Monday in federal court, saying it gave Petters $60 million to buy electronic equipment that was used for another purpose. Petters offered "imaginary televisions as collateral," according to Interlachen's complaint. Last month, according to court documents, another asset-based lender, Acorn Capital Group of Greenwich, Conn., sued Petters in New York's Southern District, demanding money for one of its loans. The suit names Thomas Petters himself, but not Petters Group. Gottex has been forced to temporarily halt redemptions from its ABI Fund until it is able to assess the value of the portfolio, a spokesman confirmed, citing the Petters Group exposure as the main reason. "As soon as more information regarding the Petters Group-related investments becomes available, the ABI Fund will endeavor to bring the period of suspension to an end as promptly as possible," the group said in a statement. Gottex's asset-backed lending fund predominantly invests in hedge funds that make direct loans to borrowers, taking control over their assets as security. Its asset-backed investing fund does the same thing, but also invests in some of the companies it makes loans to. Petters Group is no stranger to dealing with hedge funds. In October 2006, Andrew Redleaf's Minneapolis-based hedge fund Whitebox Advisors went in on a deal with Petters Group to buy Sun Country Airlines, with each side taking a 50% stake. Petters, through its Petters Aviation affiliate, bought all of Whitebox's stake by November 2007. The airline has struggled since, along with the rest of the industry. Click here to go to Dow Jones NewsPlus, a web front page of today's most important business and market news, analysis and commentary: http:// www.djnewsplus.com/al?rnd=b0mLQ9gk7h7oHq8Uk5fR6Q%3D%3D. You can use this link on the day this article is published and the following day. Many buildings containing lead-based paint are being renovated, and the mere act of renovation poses serious health threats to young children and pregnant women. In 2008, the Environmental Protection Agency issued a new rule under the Toxic Substances Control Act regarding “lead-based paint hazards created by renovation, repair, and painting activities that disturb lead-based paint in target housing and child-occupied facilities.” The rule, which has an effective date of April 2010, directly affects general and specialty contractors by requiring them to be certified if they are performing work on a targeted facility and to provide warnings to let people know of the hazards. The rule generally applies to renovation of any housing constructed prior to 1978 and any public or commercial facility constructed prior to 1978 where children are present on a regular basis, such as a day care center or school. Exemptions include minor repair or maintenance work involving an area no larger than 6 sq. ft. of interior painted surface (20 sq. ft. for exterior), renovations by an owner to their own residence or a certification that the work area is free of lead-based paint (as determined using an EPA recognized test kit). Some housing may also be exempt if it is shown that no child under the age of 6 or pregnant woman resides or regularly visits there. How and when does a contractor get certified? Training programs will be approved by the EPA and will be available to contractors as early as April 2009. You can apply for certification as early as October 2009 and you MUST be certified by April 2010. After that date, you can’t perform renovations to a targeted project unless you are certified or an exemption applies. Certifications must be renewed every five years. It is unclear exactly how enforcement will take place. Suffice it to say that if a property owner is injured as a result of lead-based paint exposure during or after a renovation, your certification and paperwork better be in order. And you may be liable for personal injuries if you fail to perform the work in compliance with the EPA standards. It may also be advisable to modify your home improvement contracts to include information regarding lead hazards and a limitation on your liability. 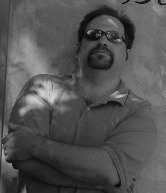 For more information you can visit the EPA website at http://www.epa.gov/lead/pubs/leadinfo.htm#remodeling. Here you will find a prerenovation disclosure form and a sample record-keeping checklist which will help you with compliance. You can also view the rule details in the Federal Register at http://www.epa.gov/fedrgstr/EPA-TOX/2008/April/Day-22/t8141.pdf which has detailed information regarding the requirements and exemptions.